The sixth "Common Homeland" Forum was convened in the Pingtan Comprehensive Pilot Zone in Fujian province on June 19. More than 300 government officials, entrepreneurs and scholars from the mainland and Taiwan attended the important cross-Straits event, with discussions focusing on promoting youth entrepreneurship and tourism in Pingtan, the closest city on the Chinese mainland to Taiwan. 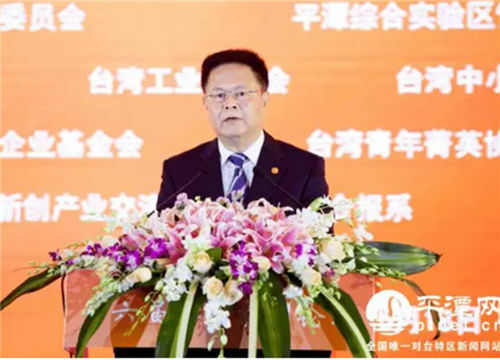 Zheng Zhajie, deputy director of the Taiwan Affairs Office of China's State Council, addressed the forum, and encouraged more Taiwan youth to hop across the Strait to start businesses in Pingtan. Pingtan's position as a part of the Fujian Free Trade Zone and the only comprehensive pilot zone on the mainland that offers preferential policies to Taiwan residents has made the island city a hotspot for young people from both sides of the Taiwan Strait in recent years, according to Zheng. "More Taiwan youth are welcome to pay a visit to the city and seize the booming opportunities here," the deputy director added.